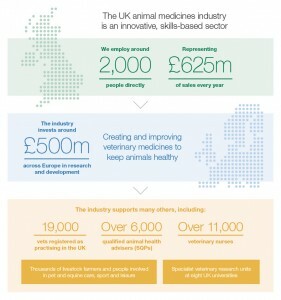 The association’s membership represents over 90% of the UK animal medicines market worth in excess of £645 million per annum (2017) and directly supporting 2000 highly skilled jobs, as well as indirectly supporting 19000 vets, over 6000 qualified animal health advisors (SQPs), over 11000 veterinary nurses and thousands of livestock farmers and people involved in pet and equine care, sports and leisure. NOAH was formed on 1 January 1986 to replace the Animal Health Register of the Association of the British Pharmaceutical Industry, which dated back to 1955. NOAH represents the UK animal health industry. 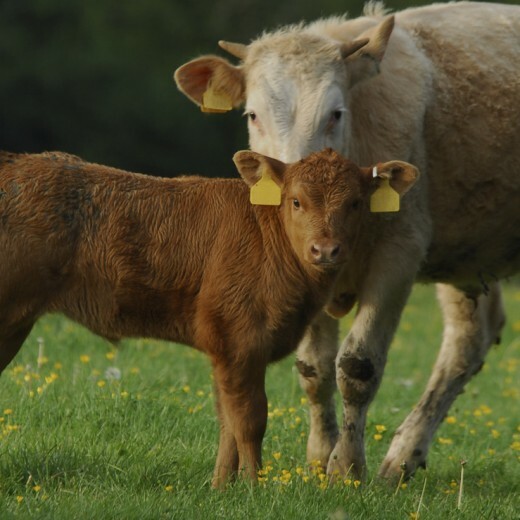 We promote the benefits of safe, effective, quality products and services for the health and welfare of all animals. NOAH’s members range from large multinational organisations to small independent UK companies. Due to the structure of NOAH, every member can make their opinion heard so NOAH is the true voice of the industry. One of NOAH’s most important roles representing the companies that research, develop, manufacture and market animal medicines in the UK, is to provide information and seek views on subjects affecting our industry. This involves consultation with NOAH members to reach a consensus view. We also hold discussions with other organisations representing those who regulate, prescribe, supply and use animal medicines, to ensure that the animal medicines market is well regulated and our members’ products are used responsibly. 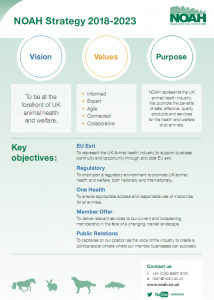 As a member of HealthforAnimals, the global animal health organisation, and Animalhealth Europe, the voice of the European animal medicines industry, NOAH promotes the UK industry view at an international level. We also provide information on global and EU legislative developments and technical information back to our members. NOAH is the political voice of the industry, providing information to influential policymakers and politicians about how animal medicines are essential for the provision of healthy food from healthy animals, and their role in preventing disease in the nation’s companion animals. We do this by continuing to be the ‘go to’ source of information on animal medicines, having an active media presence and through meetings with UK politicians, policymakers and MEPs. NOAH promotes policies that are based on evidence and sound science, which are predictable and encourage businesses to continue to invest in the UK. We also campaign for policy which promotes good animal welfare, ensures high standards of food safety, supports sustainable agriculture, allows access to product information and encourages research. NOAH encourages informed and rational debate. At all times it supports that which has been scientifically tested, against subjective or ill-informed comment. NOAH supplies information and advice to members on the fast moving legislative environment in which they operate. We also highlight opportunities or concerns from other organisations, the media and social media. Regular updates keep NOAH members’ staff informed about activities and issues, both current and upcoming. NOAH has member committees, providing fora to discuss the many different issues and opportunities in the animal health sector. Specialist committees report to the elected Board of Management, including Technical & Strategic Affairs, Communications and Regulatory Affairs, all responsible for agreeing and implementing strategies to meet NOAH’s objectives. The Technical & Strategic, Regulatory and Communications Committees are assisted by working groups and sub-committees who take charge of specialist areas and feed in information and comment. These consist of experts from many of NOAH’s member companies, who have specialist knowledge in one or more areas. Examples include the Antimicrobials Sub-Committee, the Companion Animal Sub-Committee and the Ruminant and Equine Sub-Committee. High standards of training with the NOAH Certificate of Animal Health (NCAH) qualification and professional conduct for the promotion of and provision of information about animal medicines are required by NOAH of its member companies, in addition to the strict legal requirements governing the control of animal medicines. Animal medicines go through an extremely strict scientific assessment before they are allowed to be sold. The Veterinary Medicines Directorate (VMD) is an executive agency sponsored by Department for Food, the Environment and Rural Affairs which is responsible for the evaluation and regulation of UK animal medicines and also grants the marketing authorisations for these products. Similar controls apply to medicines authorised across the EU through the European Medicines Agency (EMA). The VMD is advised by independent advisory committees including the Veterinary Products Committee , and works alongside other official bodies such as the Food Standards Agency and the Environment Agency (EA) or Scottish Environment Protection Agency (SEPA). NOAH supports scientific approval and works to ensure regulatory controls are managed in such a way as to protect human and animal health and the environment while encouraging investment in the animal medicines of the future. NOAH promotes self-regulation by the animal health industry in matters relating to product promotion. The Code of Practice for the Promotion of Animal Medicines ensures ethical standards are upheld when animal medicine companies market their products. Its purpose is to ensure that marketing information is fair, accurate and objective. The code is upheld by the NOAH Code of Practice Committee, which is chaired by an independent practising barrister, has an independent secretary and includes representatives from both the farming and veterinary professions. The code is regularly reviewed and updated and incorporates the European Industry Code of Practice. It is a requirement of NOAH membership and participation in the NOAH Compendium that all companies’ sales representatives involved in the direct technical selling of medicines (other than those on free sale) are on the NOAH Certificate of Animal Health (NCAH) Register and take the examination within two years of joining the industry. By the very nature of the animal medicine industry, science plays a large and essential part in NOAH’s work: with all the committees and working groups the amount of expertise available to NOAH is considerable. In fact the NOAH expertise is considered so reliable, that it is often called on by individuals, organisations and the media who need advice or information on a particular animal health related issue. NOAH has presented numerous scientific papers at various conferences and meetings and offers advice on regulatory affairs, and such matters as the responsible use of antibiotics. New animal medicines come onto the market, and improvements are made to current products so that animal care, food production and quality can be improved. Before an animal medicine is placed on the market the manufacturer will have accumulated considerable toxicological, pharmacological and clinical evidence and will have met all the statutory requirements for the testing, manufacture and marketing of that product. In order to earn a marketing authorisation, the product must satisfy EU criteria, assessed by VMD or EMA, on its quality, its efficacy (i.e. that it does the job that it is supposed to do) and of course its safety – safety to the animal, to the environment, to the user (vet, farmer or pet owner) and to the consumer of any livestock produce. The animal health industry is not alone in many of its objectives. 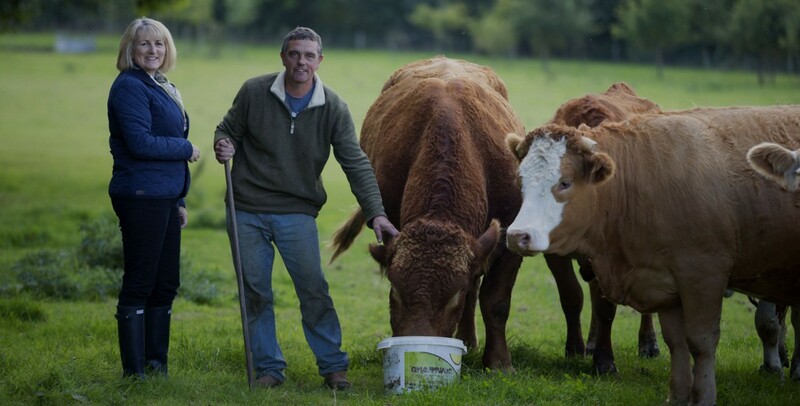 NOAH liaises and works closely with the veterinary profession, farming and companion animal organisations and others to achieve these common goals of animal health and welfare. It is a member of the Responsible Use of Medicines in Agriculture (RUMA) Alliance, SCOPS, COWS, the Canine and Feline Sector Group and on the AMTRA Board. NOAH is also a trustee of National Pet Month and part of Leaf Education. Part of NOAH’s work is to communicate about topics within the animal health sector to infirm, advise and correct misconceptions. NOAH will not promote one particular company, or indeed their products. NOAH’s Twitter name is @UKNOAH, and its YouTube channel can be found HERE. As well as the NOAH website, we have a website aimed at pet owners, www.pethealthinfo.org.uk. This is supported on Facebook (like IheartmypetUK) and Twitter (follow @IheartmypetUK). 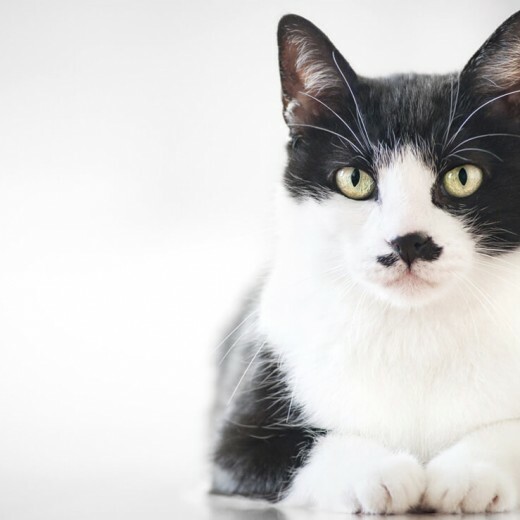 NOAH publishes the Compendium of Data Sheets for Animal Medicines, which is sent free of charge to every veterinary practice in the UK, and is bought by many other users of animal medicines. This book, updated every year, details information relating to many animal medicines and includes withdrawal period tables. A special edition of the book, commissioned by AMTRA, is also produced for medicines for prescription or supply by an AMTRA SQP or pharmacist. The NOAH compendium is available online at www.noahcompendium.co.uk and updated regularly – the site has received over 8.5 million visits since launch, seeking information on using medicines responsibly.